Green-veined white butterfly. 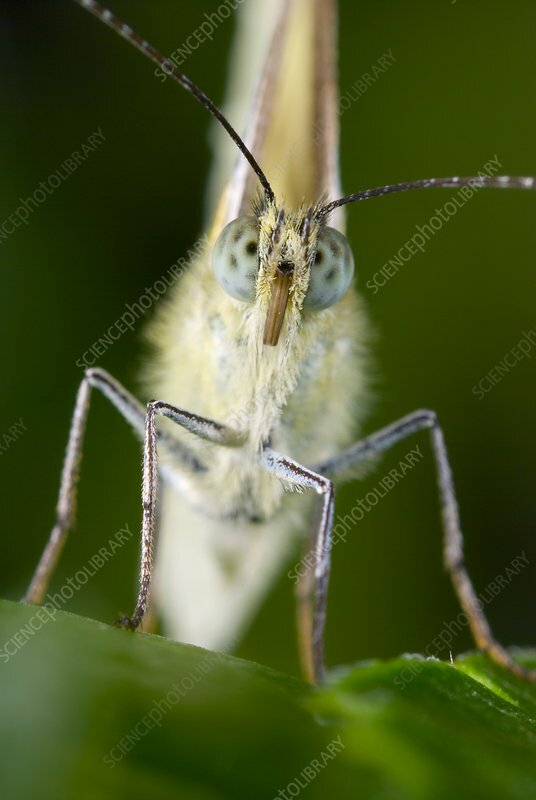 Close-up of the head of a green-veined white (Pieris napi) butterfly, showing its large compound eyes. These butterflies are common in Europe. Photographed in Poland.